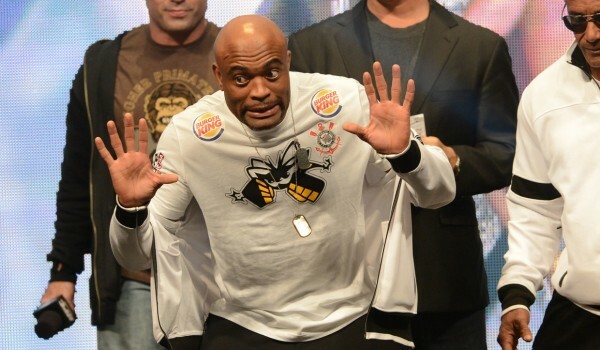 We all suggested Nick Diaz vs. Anderson Silva never really believing that it could happen, but now Ed Soares, Anderson Silva’s manager is saying that it indeed really could possibly happen. I don’t even know what to say other than that I want this fight to happen with the passion of a thousand dying suns. Please, MMA Gods, make this happen. “There’s Michael Bisping, there’s Cung Le. Even Nick Diaz. Nick Diaz has said he’s wanted to fight him before. Nick Diaz wanted to box Roy Jones Jr. You could argue that Nick Diaz and Anderson probably have some of the best boxing in MMA, so we’ll see what happens. Like we all know, so many things can change, the landscape of the sport can change so much in such a short amount of time. I’m down to see all of those fights. Especially Cung Le.